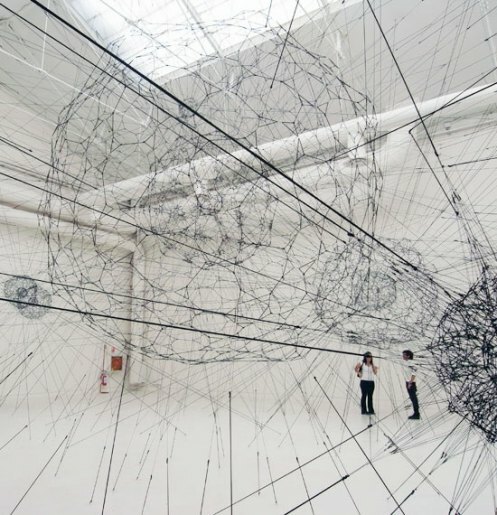 Air-Port-City, a series of artworks and experiments by Tomas Saraceno has taken on a variety of different forms over the years. 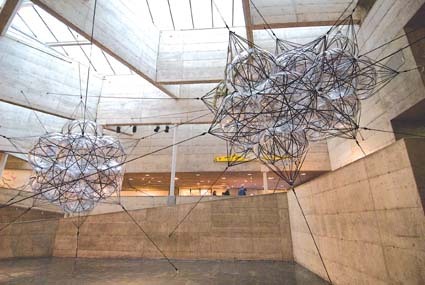 Saraceno’s inspirations come from the work of visionary architects such as Richard Buckminster Fuller and Archigram (according to Radical Nature, Barbican Art Gallery). 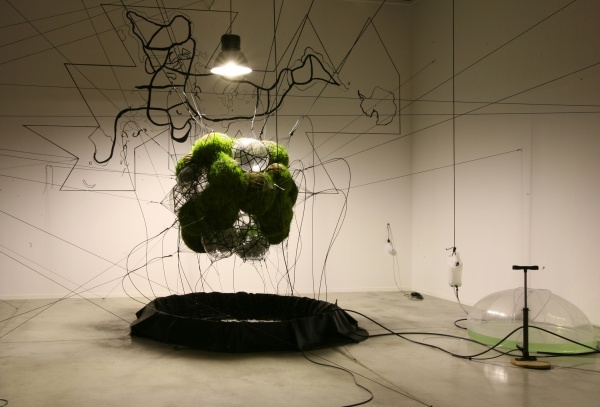 His works often relate to utopian ideals for a floating international city or cojoined cities that act as a flying airport and so are without border restrictions. 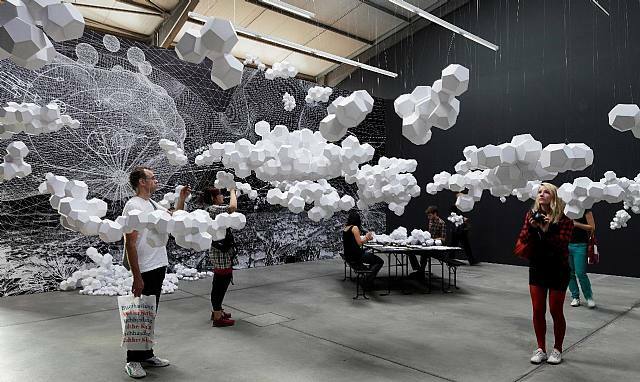 Saraceno’s work is inspired by clouds, bubbles and cellular structures. 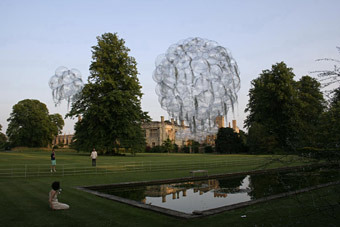 Cloudy House, below, recalls the molecular structures that make up water. The Tillandsia plant used in Flying Garden gets all its nutritional requirements from air. 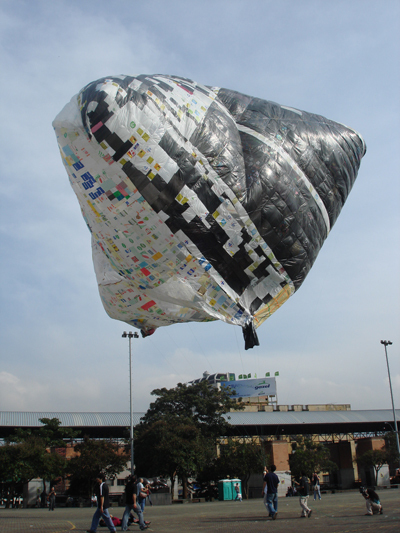 59 Steps to be on air by sun power/Do it yourself using polythene, tape and sunlight. 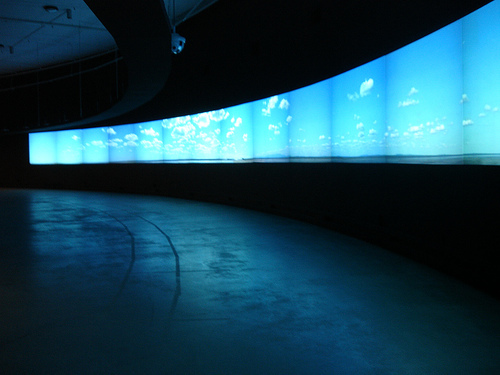 A moving panorama of clouds passing over Salar de Uyuni, a salt lake in Bolivia, for which Saraceno used a ring of 32 cameras to create for the Barbican, London.